Paul Gonsalves takes a solo and the crowd reacts. : Duke Ellington In Chicago: Ozier Muhammad Photojournalist and Lecturer on Trends in this medium. 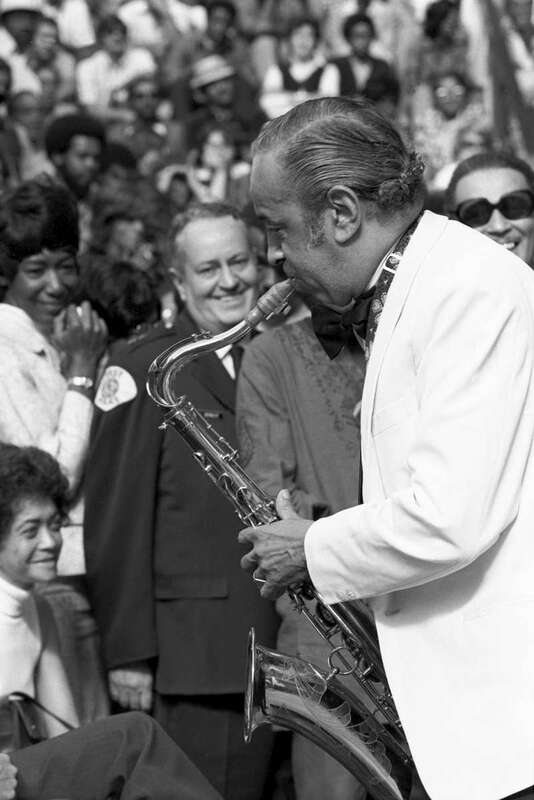 Duke Ellington In Chicago: Paul Gonsalves takes a solo and the crowd reacts.